If you have been injured in an accident that was caused by the driver of a company-owned vehicle, the claim can become quite complex very easily. There are a number of unique issues that need to be addressed in these cases, and having an experienced attorney beside you can help to ensure that your interests are protected. Depending on the circumstances surrounding your accident, the driver and his or her employer can potentially be held accountable for your injuries. It is common in situations like these for the negligent parties to try to avoid responsibility by pointing the finger at the other. 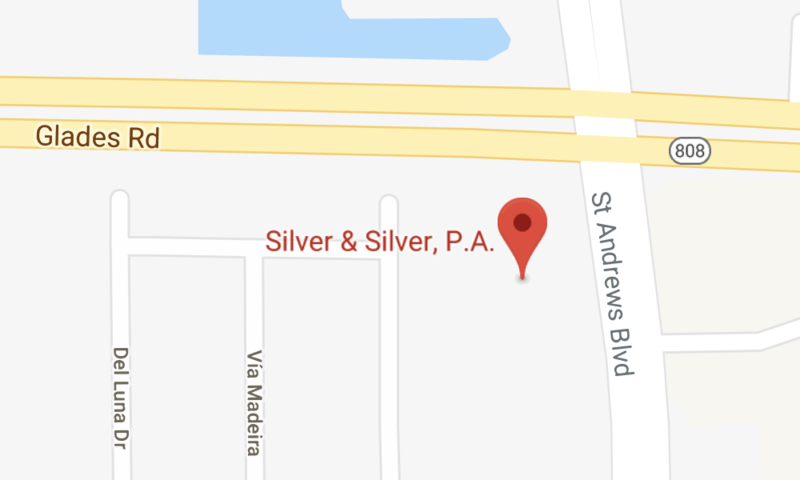 At the law firm of Silver & Silver, P.A., we represent injury victims in these matters. We work quickly to get to the truth and attempt to obtain a favorable outcome for our clients as quickly as possible. Many injury victims fear that they have no chance of success in a legal battle against a large corporation, even when the corporation is clearly at fault. Victims are frequently inclined to accept the company’s offer rather than risk losing in court. Our Boca Raton commercial vehicle accident lawyers are prepared to represent you in any claim against any opponent. We have no fear about taking on large corporations. No person or business is above the law when it comes to the well-being of innocent people. Contact our South Florida law firm today to discuss your commercial vehicle accident claim with a lawyer. You can reach us by phone at our principal office in Boca Raton by calling 561-235-3219, toll free at 800-513-8670 or via email to schedule a free initial consultation. We are also available for consultations in Boynton Beach and Wellington.